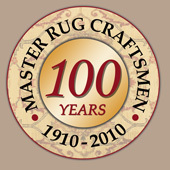 A customer Collection Service from anywhere within the UK (prices assessed on: distance, actual size of piece, and weight & size of piece when folded) for any rug, oriental rug, oriental carpet or tapestry that has been booked for our cleaning and/or stain corrective treatment works and services in The Oriental Rug Gallery Ltd's custom-built Cleaning Studio. 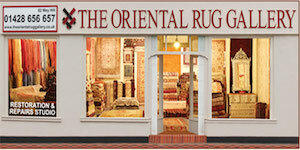 A customer Delivery and Return Delivery Service to anywhere within the UK (prices assessed on: distance, actual size of piece, and weight & size of piece when folded) for purchased pieces or where cleaning and/or stain corrective treatment works and services have been undertaken for pieces in The Oriental Rug Gallery Ltd's custom-built Cleaning Studio. Our Bespoke Rug Search Service: if after exploring our online rug selections and further viewing pieces in the Rug Gallery Showroom from the hundreds of pile rugs and flatweaves we have in stock at The Oriental Rug Gallery Ltd's Shop and extensive stockroom range, where you still can't see the piece you are looking for, we will endeavour to further source a few select pieces that match your bespoke requirements, as per current stock availability. Once any pieces have been sourced, we will contact you to arrange a viewing of the pieces at The Oriental Rug Gallery Ltd. Please note that although we offer this bespoke rug service free of charge, this extra sourcing time is limited due to the demands of our Rug Gallery's many other specialist rug works and services we provide for our customers. 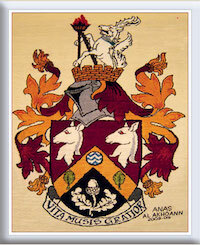 Our Rug Colour & Design Matching Service: is focused on helping customers choose the rug that is right for them, from our vast stock at The Oriental Rug Gallery Ltd. An appointment is booked for a Rug Consultation with Sandre, our Rug Gallery's award-winning Decorative Woven Arts Creative. 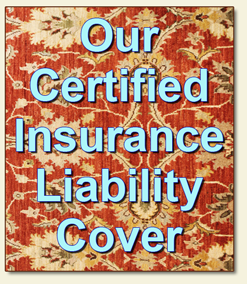 During your appointment, we will talk through your rug specifications, styles, colours, yarn and preferred rug textural type, size, price range and budget. Whether you are an interested individual, an interior designer, a private collector, or a corporate customer, we will be happy to source the piece that is perfect for you! 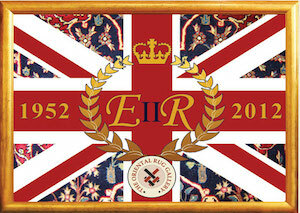 Please contact us for more details of these bespoke Rug Services and booking availability. 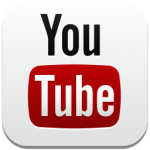 Viewing rugs of over 1m (approx. 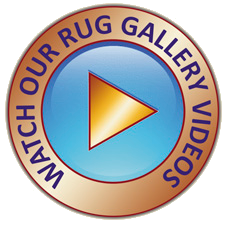 3') or more in length: we designed our Shop's Showroom with a large rug viewing area for customers to view our opened rugs easily. Due to the rugs' and carpets' size, weight and manageability and the time element involved in selecting, moving and opening pieces from over a 1,000 rugs in stock, if you wish to view rugs of over 1m (approx. 3') or more in length, please ensure you book a 'Rug Viewing Appointment' a minimum of 1-2 days in advance, where a maximum of seven rugs in this size range and above can be viewed at any one appointment. Time-Saving Rug Viewing: phone or email us 1-2 days in advance with the 'stock reference number(s)' of the rugs that you wish to view, so that we can layout and make ready your chosen pieces in our Rug Gallery Shop, thereby saving you time waiting during your visit, while we select, move and open the pieces requested from over 1,000 rugs in stock. Rug Viewing Appointments: are pre-booked 1-2 days in advance at The Oriental Rug Gallery Ltd's Shop Showroom for customers wishing to view a selection of rugs, where all the requested pieces are laid out ready to view and the viewing customer is made a 'priority' in our availability and work schedules. Please bring any available colour, texture and pattern samples or swatches and soft furnishings or mood boards, to help determine the hand-woven rug(s) that is right for you. 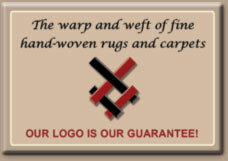 Also your required minimum and maximum rug width and rug length sizes, as all our hand-woven pieces are unique and individual, with no two pieces the same size or colourways. Customers who drop in to view pieces, will be accommodated to the best of our availability to open pieces, the time needed to locate and layout the chosen rugs to view from over a thousand in stock at our shop, and while helping other customers. Meanwhile, we are happy to offer our Rug Specialist knowledge and expertise and our Rug Interior advice on style, colour blending and rug designs to help you decide the suitability of pieces, if requested at a Rug Viewing appointment or when visiting The Oriental Rug Gallery Ltd. Please contact us if you wish to book a Rug Viewing Appointment at The Oriental Rug Gallery Ltd, for any of the above services.